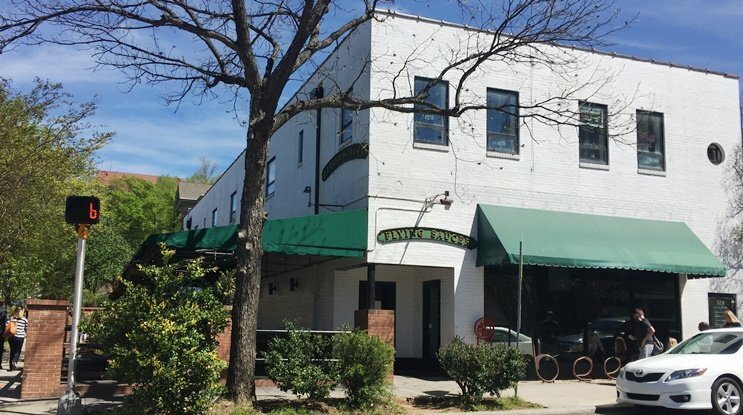 Retake: The Flying Saucer in Raleigh, a Classic Destination for Great Beer! Located on the corner of Morgan and Harrington Street, you can’t miss the Flying Saucer! 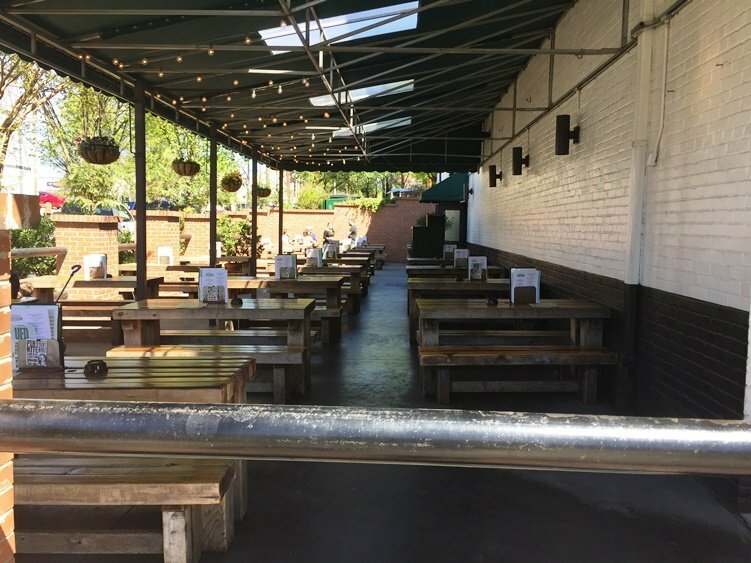 You’ll usually find the covered patio, filled with Raleighites enjoying a good beer and snacks when the weather is nice. Stepping through the doorway you’ll immediately be hit by the enormity of the Flying Saucer space and its beer hall interior. Checked floor in black and green, long bar with taps to the right and four-tops to the left. And yes, beer plates! Gold rimmed plates line every bare spot on the walls and ceilings, with a customer message on each. Part of the UFO club that the Flying Saucer runs, taste and/or drink 200 different beers and you’ll get your own special plate to adorn the Flying Saucer space! The beer hall is a bit worn and aged which adds to the charm here. 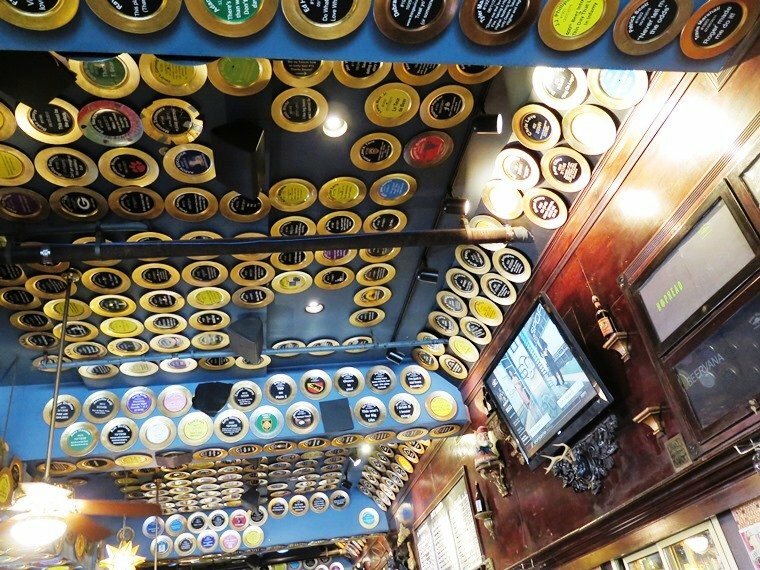 There have been a LOT of brews and beers quaffed down at the Flying Saucer over the years. Sitting down at the bar and choosing one of the Flying Saucer’s 200+ beers can be a bit intimidating but thankfully the staff here is super knowledgeable when it comes to suds. And honestly, after the Raleigh Beer Garden offered up 360+ beers, the Saucer seems less difficult. At least most of the Saucer customers know their beers pretty well, making the selection process, quicker. The Flying Saucer is also known for for its waitstaff with many of the female servers sporting plaid skirts and knee-high socks, but you know what? Don’t let their looks fool you. They know their beer here really well, too. A recent visit for brunch turned up a Tex-Mex hash brown skillet and breakfast pizza! 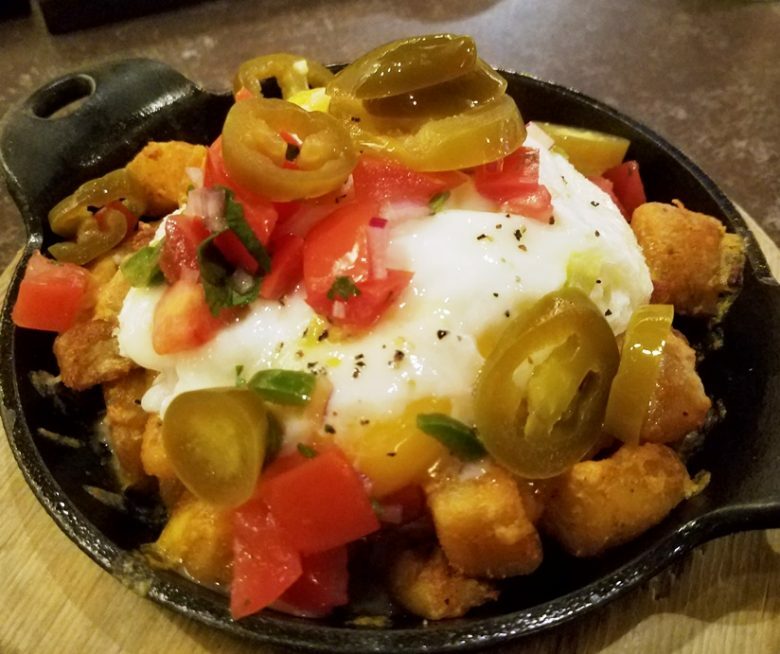 Tasty hash-browns topped with cheddar-jack cheese, fried egg and jalapenos, yum! 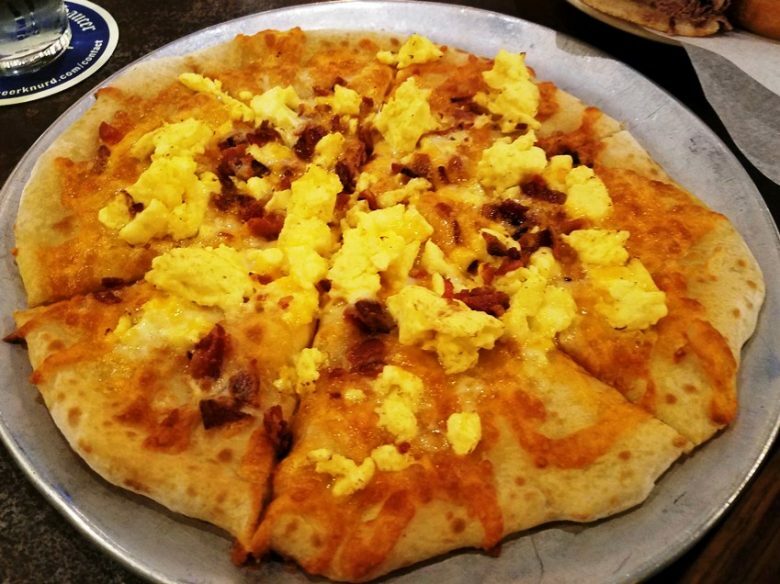 And the breakfast pizza topped with scrambled egg, bacon and cheddar was pretty solid too! 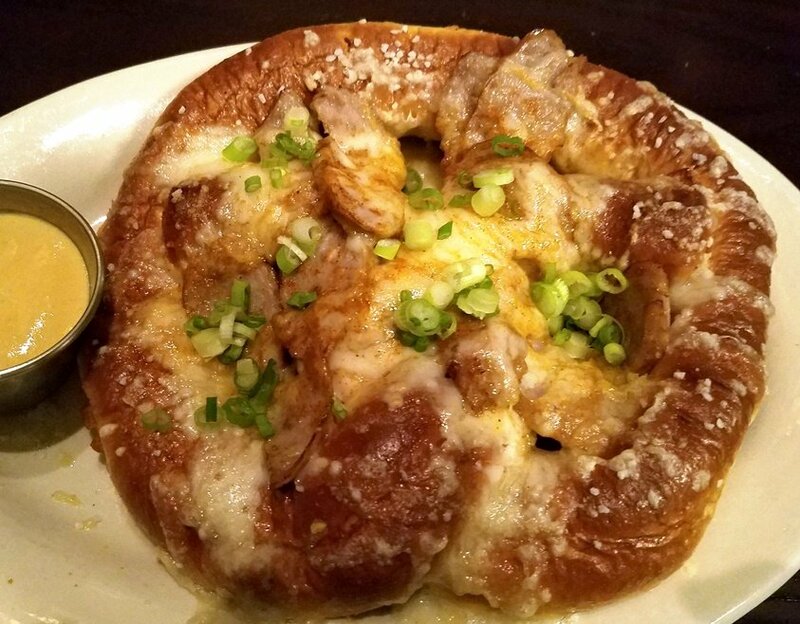 The Flying Saucer does brunch from 11am to 3pm. I think it’ll be a fun option out on that patio once it gets warmer. 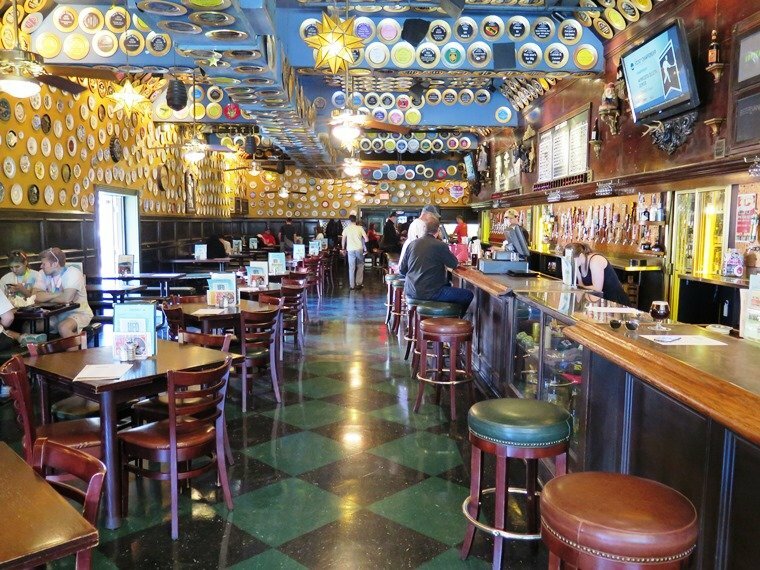 The Flying Saucer also runs beer specials on Sundays ($3 pints, NC Beer) and Mondays ($3 pints, all taps). So a slow round of applause for the venerable Flying Saucer on Morgan Street! 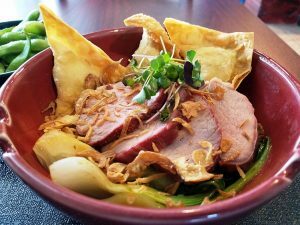 While the Raleigh food scene has improved by leaps and bounds over the years, the Saucer has also upped its game to keep up. 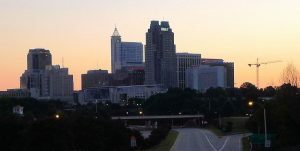 The Flying Saucer may not be top of mind for a drink or food, I think it’s a totally decent spot to get a feel for what Raleigh is about and sample some great beer. And while I may not ever have a UFO plate up on the wall with my name on it, I will definitely be back to sample more off of their food menu!